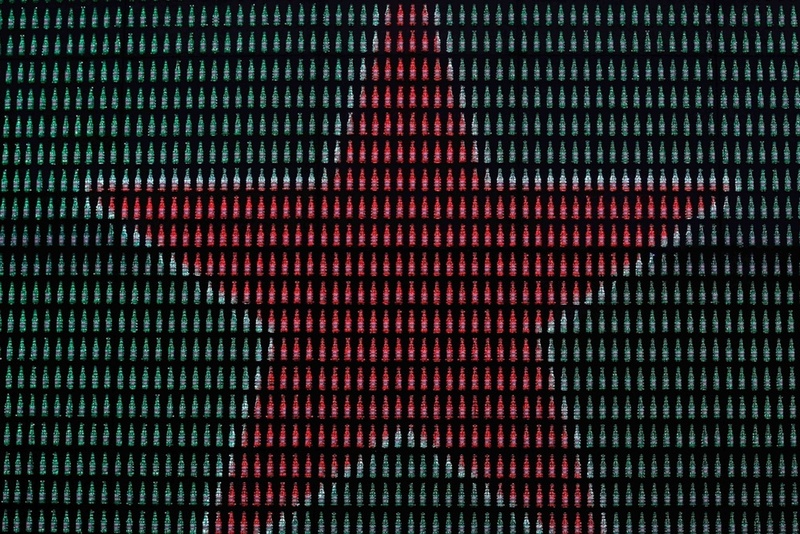 Heineken commissioned the Bottle Wall to celebrate their 140th birthday. The giant LED wall, weighing 40 tons, was custom built to hold 5000 bottles. The installation was then secured to the front of the Heineken Brewery Experience in Amsterdam. Each bottle became a pixel on the massive LED screen. The motion graphic content was made up from photos and videos taken from Heineken’s archive footage as well as interactive content. The interactive content enabled fans from all over the world to send messages to the wall via Facebook. The fan’s profile photo was inserted into the content with the use of real-time software. The profile photo danced with breakdancers before settling on the side asthe fan’s message appeared in large letters across the screen. 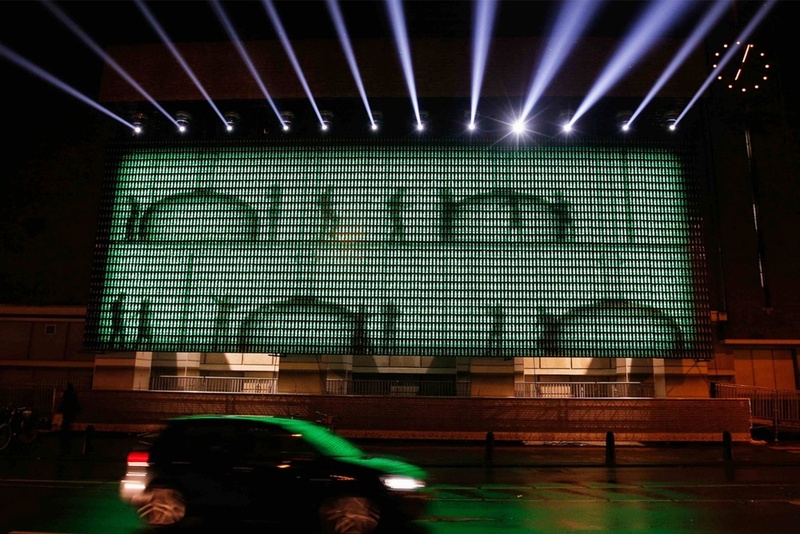 Live video streaming of the installation meant that fans from all around the world could see their message and share it with friends and family.